I love working with animals! I have 2 children, 1 dog, and 2 cats. My full time occupation is an accounting manager for my family business (trucking company). My passion is working with animals. My dream is to one day open and run and animal sanctuary where all animals will be welcome to come to live their lives to the fullest. I volunteered and worked at the Humane Society and I worked for PetSmart PetsHotel. I have done some training with Tellington T-Touch and plan to continue with that in the next year. I also have a Veterinary Assistant Certificate, where I learned more about caring for animals. My 2 year goal is to work with animals full time and be able to live my passion! Deciding to work with Grace and Pet Buddy Plus was one of the best decisions I have made. It is a great company and a fun place to work! Grace is the greatest! I have volunteered my time with Safe Hands Animal Rescue for the past 4 years as a foster mom (for 36 pups and counting) and as adoption coordinator. I love working with animals! I apprenticed with a dog trainer for about a year and gained some very valuable insight into helping raise my fosters and my own dogs. I have 3 dogs and a cat of my own — and they are my world. They have me trained pretty well. I treat clients' pets as though they were my own. 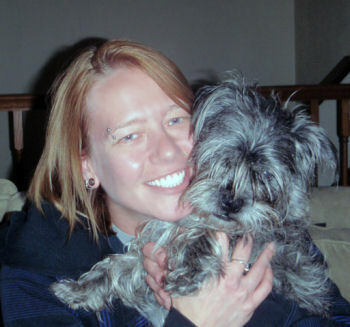 Working with Grace has been great and she really cares for her clients and their pets. I am an avid pet lover! I live with my husband in the Southwest metro area. We have a German Shepherd dog named Kayden, two cats; Kisa and Sweets and a Beta fish named Elvis. I have a pet portrait business, Borg Images, and I feel I have the best jobs in the world. I love to be surrounded by animals all day and I can't believe I get paid to do this! At the end of the day I'm either covered in cat hair or dog slobber and it's awesome! I'm very grateful I got laid off from my 8-5 office job over two years ago so I can live my passion! I enjoy meeting all the cute, furry (or not so furry) clients of Pet Buddy Plus! My dream is to one day own a little hobby farm with a bunch of animals! Growing up, I spent a lot of time running around my grandparents' farm where I would play with the animals there. Many memories come from my learning about, playing with, and taking care of the chickens, cattle, horses and goats that were present there. I grew up with a set of Boston Terriers, Gilbert and Shermin (named after the Green Bay Packer player and coach, respectively). 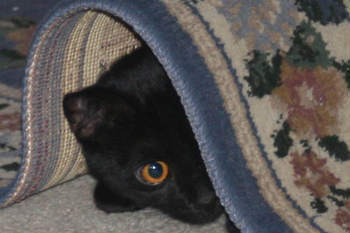 Recently the boys got a new playmate, Muggs, who was adopted from Tennessee by my brother. I spend my days teaching literacy in a Minneapolis Public high school, and my nights are spent walking the neighborhoods of Uptown Minneapolis where I reside. I love babying the pets of others while my lease agreement doesn't allow animals. Becoming a pet buddy has been on my "bucket list" for a long time. Now that the time is here, I'm so proud to be a Pet Buddy! 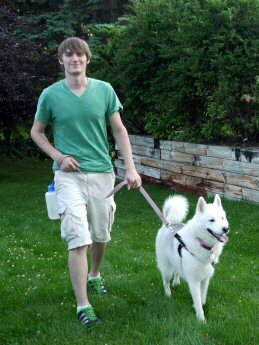 I've been walking dogs and pet sitting professionally full time since January 2001. I have a passion for animals and enjoy taking care of pets. I own my own pet sitting business and also enjoy working as a Pet Buddy. In my free time, I enjoy biking, volunteering, spending time with friends and family, and eating good food. I have had many dogs, cats, rabbits, fish and foster dogs. 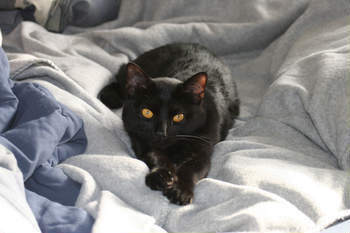 I am a foster mom for Rescued Paws, a non-profit rescue organization. I am also a member of the Twin Cities Obedience Training Center and have done various training classes from basic obedience to tracking. 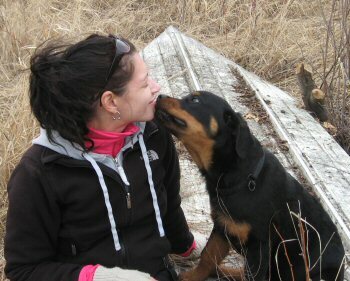 I also have paramedic experience and am well versed in basic emergency care for both animals and humans. I cuurently have a 2 year old Rotteweiler named Luka and a 6 year old cat named Jezabel, and of course, foster dogs. I grew up surrounded by nature and respecting life of all kinds. It's my belief that raising animals brings us closer to nature and enriches our lives. It's no wonder that pet owners live longer happier lives! 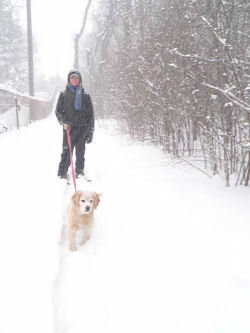 As a Pet Buddy, I'm honored to provide a service that helps make having pets more practical. Every little critter deserves our compassion and for domesticated animals that means accepting them into your family. I'm a proud owner of a beautiful Siberian husky and a quirky little Siamese kitty and I just can't imagine life without their companionship. Aside from animals I'm passionate about healthy living and nutrition in particular. I have a Bachelor's of Science in Nutrition from the University of Minnesota and I volunteer weekly at the Minneapolis VA Medical center where I teach weight loss classes for veterans. I'm a full time Veterinary Technician student at Argosy University and an aspiring Dr. of Veterinary Medicine at the University of Minnesota. 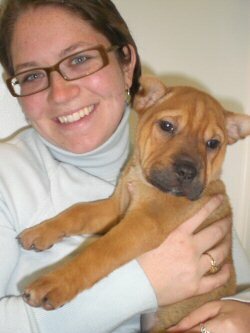 I volunteer with shelter animals coming from RPaws and Humane Societies and hope to one day run a shelter of my own. Currently I live in Minneapolis with my boyfriend, Husky dog, and Siamese kitty! 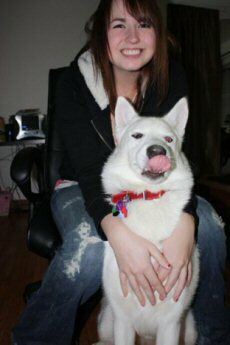 From work, to school, to fun, my life is completely revolved around my love for animals. A favorite quote of mine is one from the movie, "Shelter Dogs" and it goes, "It's the right of every dog to have a person who thinks they're the greatest animal on earth" and I full heartedly believe that! I currently live in the south metro with my own cats Tang and Dink. I also have my first foster puppy, Molly, who I ended up adopting. I've always had a passion for animals. I currently do freelance web / design work, which gives me lots of time to do what I love, walking dogs and caring for cats and other pets with Pet Buddy Plus and rescuing animals. I've spent the last couple of years volunteering in multiple shelters in New York City and now in the Minneapolis area. I really enjoy all animals and finding new ways to improve the lives of all homeless animals. I currently live in Minneapolis with my 3 min pins Trina, Tinker and Gwen. 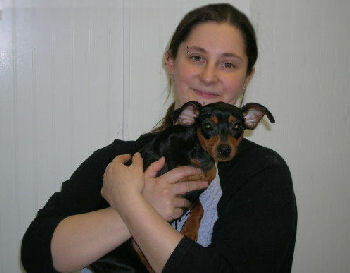 I also foster with and am the Minnesota Director of Southern Star Min Pin Rescue. I currently work at two veterinary clinics and I am in vet tech school. I am a licensed dog trainer and specialize in dog aggression. I enjoy working with animals and take pride in fostering dogs and working as a vet tech while making a difference in the lives of homeless animals. 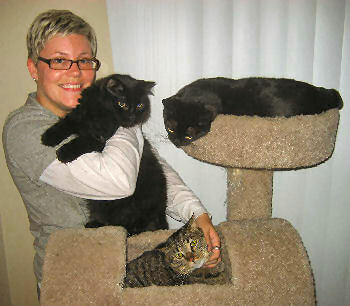 I work full time as a licensed social worker and after work, I love to hang out with my own cats; Jax, Grae, and Jordan. I've always adored animals and their unique personalities; I wish I could adopt every cat that needs a good home! I hope to get my own dog, a silver labrador, within the next year too. I really enjoy meeting new pets and am having so much fun being a Pet Buddy. I am living my passion. Celebrating life, one critter at a time with a great team at Pet Buddy Plus! I enjoy spending time with pets and contributing to the health and welfare of animals. 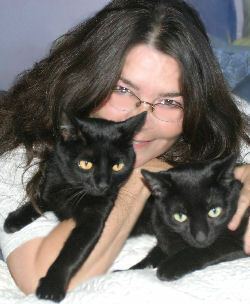 I have had pets all my life and currently I am owned by two mischievous kitty boys; Kizmit & K2. 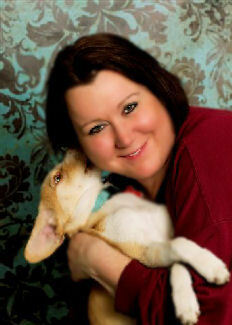 I am a Minnesota Regional Director and the Member Services Coordinator with WishBones for Pets. Charities such as WishBones for Pets allows me to be more involved in the community while contributing to the well-being of homeless animals. 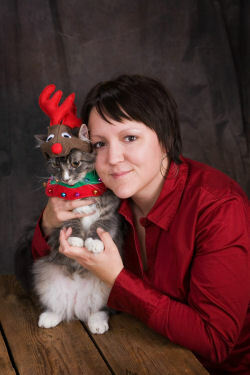 I am on the Board of Directors and Communications Chair with Professional Pet Sitters of Minnesota. 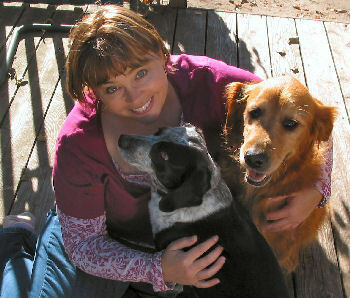 I help to promote the pet sitting industry as being in the best interest for pets. I also like photography and enjoy taking pictures of pets, sharing them with their owners and posting them on this web site. Some of my other hobbies include oil painting, reading, bicycling, cooking, baking, and geocaching. Ultimately, I do my best to be a good ambassador to the pet world.